WPS works with schools and public libraries throughout the entire state of Oklahoma to bring the best in information technology to teachers and students. 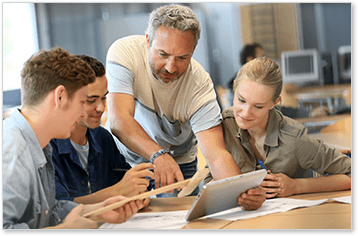 As a full-service IT partner, we design, manage, install, and maintain data and communication networks that make digital teaching and learning possible. Since 1999, WPS has been a registered service provider of the Universal Service Administrative Company (USAC). We are proud to help bring affordable, high-speed internet to Oklahoma’s schools and public libraries. Contact us to find out more about our E-rate program.